You probably know what BYOB means…. But do you know what BYOD means? It stands for Bring Your Own Device! This is a trend where employees or students bring and use their own cellular devices at their place of work. While this naturally results in security issues for employers, some argue this actually improves productivity. The ‘Mobile Security Strategies: Threats, Solutions & Market Forecasts 2012-2017’ report found that while this trend can bring productivity benefits to businesses, it also poses potential security risks. The report states that the majority of phones and smart devices being utilized today do not take advantage of available security applications, possibly leaving organizations vulnerable. Companies that are starting to rely on BYOD technologies are now tasked with developing internal policies and procedures to ensure a secure network environment. For example, IT administrators need to know what actions to take if a device is lost or stolen, or how to handle employee termination scenarios. To that end, there are several areas that employers need to address. Among these concerns are how to properly segregate your network, who provides support, and who is responsible for maintenance, application deployment, and patch management. In order to implement any successful BYOD program be sure to have representation and synergy among all IT, business teams and decision makers. Involve all of these departments to ensure this initiative is successful by addressing security issues, support, costs and responsibilities. Time spent dockside just got a bit more relaxing for customers of a local marina. 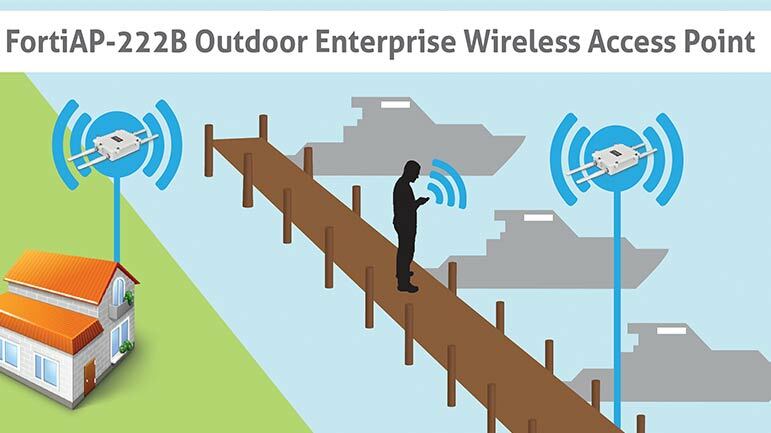 With the help of TBNG Consulting, a Connecticut-based information technology consulting firm, Essex Island Marina can now offer their customers Wi-Fi service. In years past, TBNG Consulting has seen that speeds and feeds were the biggest chips on the shoulder of any Network Administrator; the faster, the better. These days however, there’s more to the story. Network Design is an ever-changing art that tries to balance the information-access needs of modern business with a diametrically opposed nemesis; the need to keep secrets, secret. The more open a network, the easier it is to share information and the more likely it becomes that some of that information will find its way into the hands of people who shouldn’t be seeing it. One recent phenomenon that’s gaining momentum is the concept of “Bring Your Own Device” (BYOD), where the ubiquity of network-capable devices in the hands of employees, guests and contractors, is creating a need to open traditionally secure corporate networks to non-corporate devices. In short, corporations everywhere are increasingly finding that they’re “expected” to provide at least some form of connectivity to devices that they don’t own or control. BYOD is starting to have a major impact on network design, as network administrators wrestle with two issues; the “Access vs. Security” question and the sudden impact of bandwidth-hungry, hyper-mobile platforms that can exponentially increase the utilization of a network in ways that are hard to predict. Extensible, authentication-capable switches and routers as well as higher and higher bandwidth transport in the form of the latest 10-gigabit and 40-gigabit technology is all becoming indispensable in the battle to stay ahead of BYOD. Another major development impacting network design is the advent of “Ethernet Fabrics”. In a sense, this is the first true evolution of the mechanics of Ethernet since the introduction of VLANs and the new 802.1Q frame format in the early 1990’s. The increasing popularity of Virtual Machines, along with the emergence of time and delay-sensitive traffic types like Voice and Video over IP, as well as the inevitable convergence of SAN and IP traffic into the same physical infrastructure, has stretched traditional Ethernet transport to the breaking point. In essence, Ethernet is now being called upon to carry traffic types and serve systems that it was never designed to handle. Ethernet Fabrics are all about re-architecting Ethernet to make it more amenable to these new demands and create a far more efficient, orderly, predictable transport technology to serve IT needs as far into the future as any of us can see. To learn more on how you can increase the effectiveness of your network, please join TBNG Consulting for an informative technical event with Brocade the evening of Thursday September 27th. The event will be held in Wallingford, CT at The Hadco Viking Center. In addition to learning valuable information on switching technology this will be combined with a professionally hosted cooking class for those in attendance. Please click here for more information or contact us at contact@tbngconsulting.com or at 855-512-4817, for additional information.